0 miles run on the road. 15 miles on the treadmill. 0 miles on the bike, and 4 hours and 15 minutes on the trainer. I had no two/day workout days. 2 rest days. Significant pattern of low blood glucose between 5:15am and 7:45am. I had a lingering cough that seemed to go away when working out. The indoor workouts due to weather and schedule. Hoping to break both bad habits this week. The reality I almost never allow myself to think about, and one in which I am in constant fear of living, or, of my family living, is the one of my friend, Michelle. Four years ago, on February 3rd (2/3 or 23), she lost her son, Jesse, to Type 1 Diabetes. I’ll be honest, I don’t like this topic. It scares me. I could have been Jesse. I could be Jesse. Or Trent, Caleb, Hiedi, Caitlyn, Sarah, Chelsea, Brandon, or one of the many others who we have lost to Type 1 Diabetes. And I have to hand it to Michelle, because she has rallied and faced her circumstances and helped others in the same position. 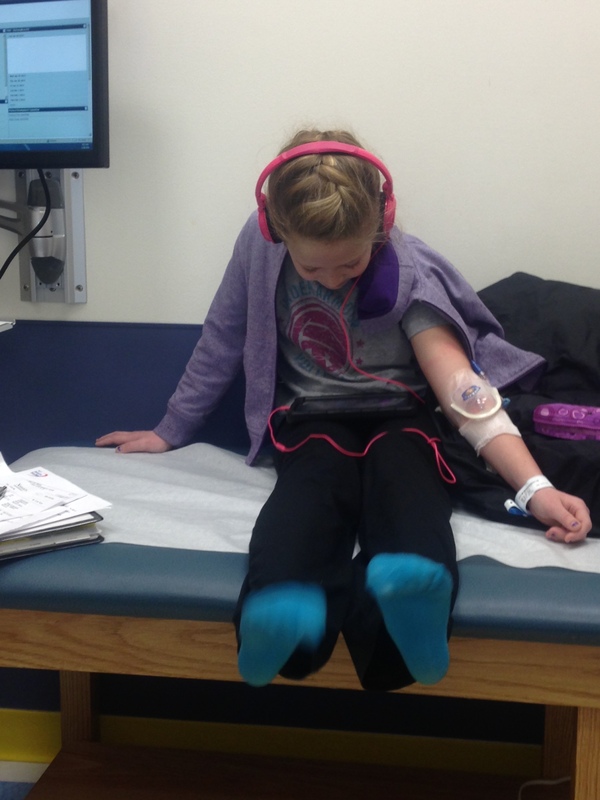 Leading in a subject matter where the #T1D community needs her. I choose to ignore this reality and realize it at the same time (if that makes any sense), to maintain my focus on training and riding with the JDRF Ride to Cure program. JDRF has been the #1 funding source for research on T1D prevention, treatment and cure therapies over the last 40 years. And the Ride to Cure program is the #1 growing program in the organization. I believe it’s because it brings the T1D community together with a focus on driving results. The atmosphere is one of family. An energy that just can’t be matched. If you are in the T1D community, you just feel at home. For those with no connection to T1D, you just get a feeling of wanting to help. The jersey worn in the photo above is the Mile 23 jersey, which is part of the memorial to the children we have lost to T1D. The jersey holds the names of many children, Jesse’s and Trent’s on the shoulders and many others throughout. The other part is Mile 23 of each of the JDRF Ride to Cure events, which we ride in silence. We remember those we have lost. We have lost some battles, but we are focused on winning the war. While the Jesse story is normally the focus, the other half of the story is that of Michelle’s response. She has stayed in the T1D community and become a leader. Working with those who have faced the challenges she has. She works for Riding on Insulin, a non-profit snow boarding camp for those with T1D, empowering children to be active and engaged in the activities they want to enjoy. She continues to rally with Team Honey Badger, the JDRF Wisonsin JDRF Ride to Cure Team. Her story of fighting is an example of the mentality of the JDRF Ride to Cure program. Michelle fight’s. JDRF Ride to Cure fight’s. In spite of the challenges faced, the people in this community fight, painted in a corner, hungry for information, fists up and ready. Our kids need us, that’s why we ride, and that’s why I ride. Come for a bike ride with me, it’ll change your life. 28.9 miles run on the road. 11.5 miles on the treadmill. 87.3 miles on the bike, and 5 hours on the trainer. Significant pattern of low blood glucose between 6:00am and 8:10am. The past two weeks were a little weird, in that everyone in the family was sick, except for me….I’m normally the sick Dad, hiding under the covers for 3 days when everyone else was fine after 24 hours. Oh well, I’ll take it, just kept on training. There’s been a lot of talk in the news and on Facebook this past week about brave people. The Priests in the Ukraine, standing tall and peaceful among protesters. Demetrius de Moors, the Atlanta, GA high school wrestler who just did the right thing. Stephen Machcinski and James Dickman, Toledo, OH firemen who died in the line of duty. These are all great examples of brave people. No doubt about it. However, I want to share with you what brave is in the T1D community. People like my daughter and my niece, who are participating in TrialNet, a prevention study for those that have a blood relative who is T1D. They participate because they are asked. Not because they want to. They go and allow themselves to be subjected to fasting mornings (without meals) blood work taken, and deal with highly anxious parents the whole time. They think they are helping me, but in reality, they are helping the people that are years from being diagnosed. These parents face every day knowing the potential for disaster. Essentially, they are helping make decisions about insulin delivery that, if a mistake is made, could kill their child. The parents have to remain calm, allow their child to grow socially and still face the fact that they are solely responsible for their child’s health until they can educate and transfer care to their child. They often don’t feel different, except when their blood sugar levels aren’t correct. They are looked at differently and treated differently. By other kids, by other kids parents, by educators and by the school districts. It is most likely derived by fear, a typical human emotion. And though not right, it often happens anyway. But the children with T1D forge on and wake every morning knowing that they will face these challenges. It takes guts to face the world every day when you know negativity is coming your way. So – I will continue to train. For my health, for the example for my children, and to show children with T1D that there is no need to pay attention to the negativity that they will face. That they should not be afraid to face the day. Training Log – Week 5 – What is Mikes Miles? 10.4 miles run on the road. 4 miles on the treadmill. And 4 hours on the trainer. Significant pattern of low blood glucose between 6:20am and 8:05am. This past week was broken up a bit with some work travel and some significant cold weather. I used it as a week to focus on the trainer and improve my cadence during interval work. Those families who live with T1D need help in two ways. They need support for their family. The need that support in care, knowledge and access to information. They also need to an organization that is focused on improving the current standard of care and to find a CURE. Mikes Miles is meant to support these two initiatives. The Mikes Miles 5k at Cedarvale Winery is an annual 5k and 1 mile fun run (April 12th, 2014 at 10am) that is organized to raise money for JDRF and to allow the local community to know there is a local resource for those with T1D. With 80 people being diagnosed daily (40 kids and 40 adults), every community needs a reminder that there is someone local who can help them navigate the choppy waters. Its a confusing disease to get used to managing, so a little help can go a long way. The first person my parents talked to when I was diagnosed was a nurse, who was also a mother of 3, and lived with T1D. She made all the difference in setting my family off down the right path. Thank you , Jean. I will always be grateful for your kind a loving words during such a tragic time. Why JDRF? Because it is the #1 funder of T1D research in the world. The organization’s goal is to improve the lives of those with T1D by funding research in the areas of treatment, prevention and cure therapies. Since I was diagnosed in 1982, research funded by JDRF has changed the way T1D is managed and drastically improved the lives of those living with T1D. This organization has drastically improved my life. With the threat of my children being diagnosed, I am proud to support them, and feel confident in knowing they are working to change my life, and ultimately cure T1D. And it certainly helps that they were ranked in the top 5 in the US by Forbes Magazine last year for most efficient non-profits. Greater than 82% of the money raised goes towards the mission. Thanks again to everyone that has supported Mikes Miles (and JDRF) in the past, and I look forward to seeing everyone out at Cedarvale Winery again on April 12th! 29 miles run on the road. 11 miles on the treadmill. 139 miles on the road on the bike. And 1.5 hours on the trainer. I had one two/day workout days. 4 rest days. These past two weeks were a hodge podge of getting out when I could and enjoying time with family. Certainly maintained fitness, and spent more time on the bike (due to being off from work for the holiday). Sure enjoyed it. It’s good to break up training with something like this every now and then so you don’t burn out. There are a number of motivating factors, but let’s start with the obvious one: I hate having to figure out how many carbs are in my cake, so I don’t mess up my blood glucose levels. I just want to enjoy the piece of cake. Here are some stats about living with T1D from the Dawn Study (http://www.dawnstudy.com/) completed by Novo Nordisk. 2010 – New Jersey: 1 million people living with Diabetes, $9.26 billion in Direct Medical and Indirect Societal costs. 2010 – USA: 32 million people living with Diabetes, $299.3 billion in Direct Medical and Indirect Societal costs. 40% of family members report a high level of diabetes related stress. These facts are true on the general scale, and they hold true in my life. My family members are worried about my health, now and in the future. But these items are NOT my true motivators. When I am tired and don’t want to train, I think of my kids. 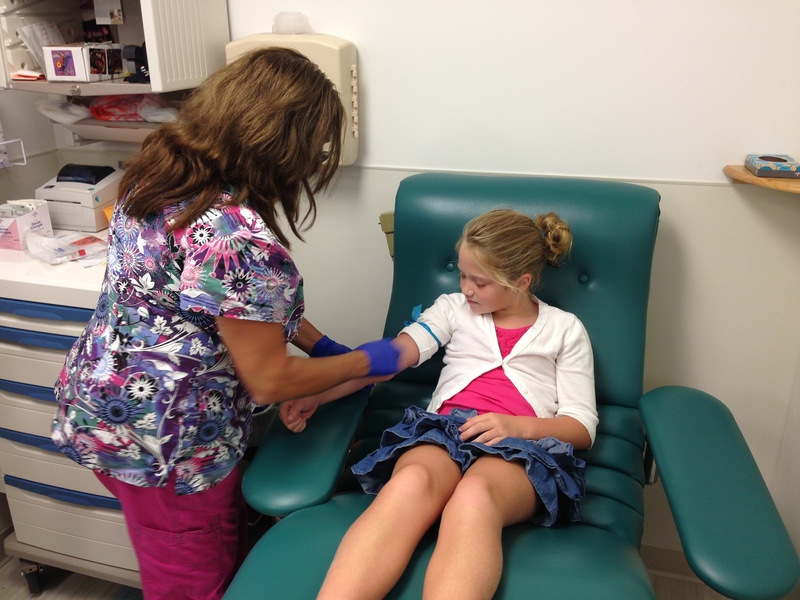 I have talked about how my kids are in JDRF funded prevention studies. Jacob is in TRIGR (http://trigr.epi.usf.edu/) and Abby is in TrialNet (http://www.diabetestrialnet.org/). Both are producing antibodies know to cause the development of T1D. Abby is producing all 4 and Jake is producing 2. What the TrialNet research results to date tell us is that it is most likely just a matter of time before Abby is diagnosed, and Jake will most likely be diagnosed at some point in his life. I can’t stop it from happening. I’ve teamed up with the most aggressive folks in the world of treatment, prevention and cure therapies: JDRF (www.jdrf.org) There is no better organization focused on improving the lives of those living with Type 1 Diabetes. Not to mention, they were listed as one of Forbes Magazines Top Five Non-Profits last year because of their efficiency rating. I’ve worked with my JDRF team mate, Scott Kasper, to start Hope on 2 Wheels. 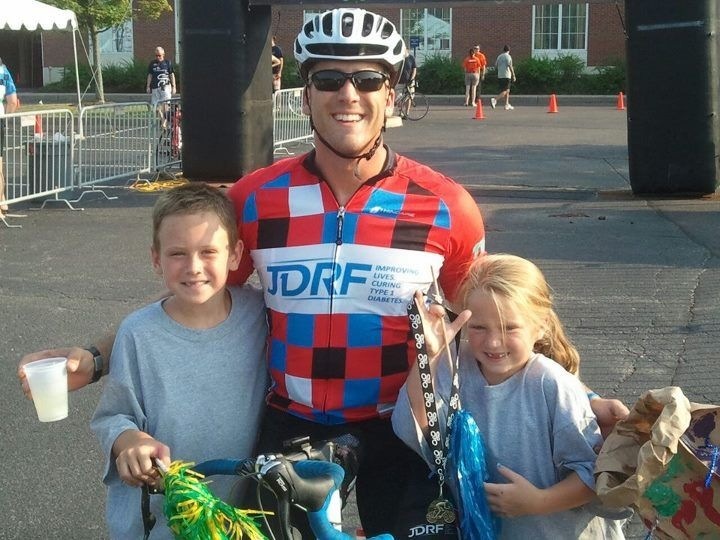 Riding between camps for children with T1D, this ride team is focused on motivating kids to live successfully with T1D. We partnered with Riding on Insulin (http://ridingoninsulin.org/), a non-profit program that has snowboard and BMX camps for kids living with T1D. Support the research, support the kids who are currently living with T1D, and now to test the system. The system? Yeah, my body. My T1D body. Push the envelope, and do it while my kids are young and impressionable. They need to see their T1D father push the envelope, swing for the fences. Fail, overcome failure, and succeed. I need to push my physical capabilities, so I know how a T1D body will react. Because its different, no doubt about it. 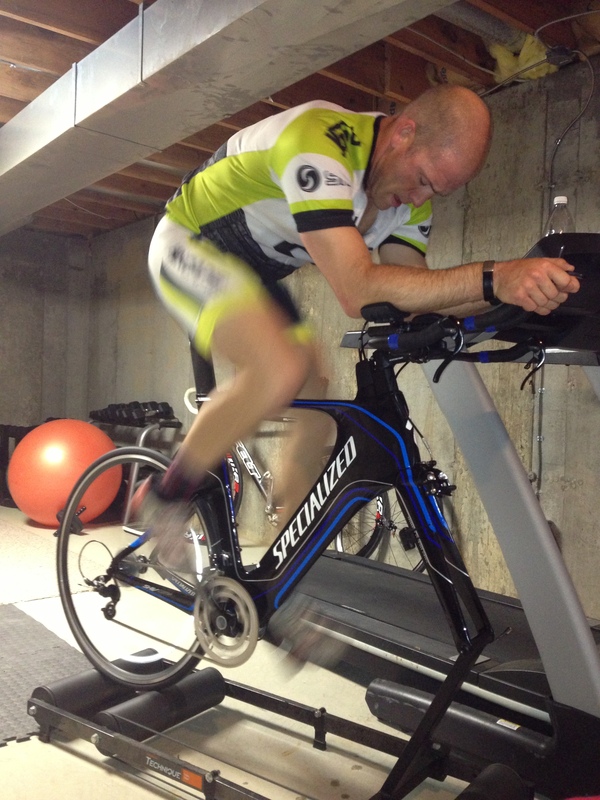 Training, fueling, recovering…..its different than someone without T1D. So, I am going to experience it, so that when my kids get to high school and college, and participate in athletics, I will be able to speak to their focus, drives, and hurdles. If they don’t participate in athletics at those levels, then I have merely provided for a life lesson in facing adversity and overcoming. It’s starting to work, too. 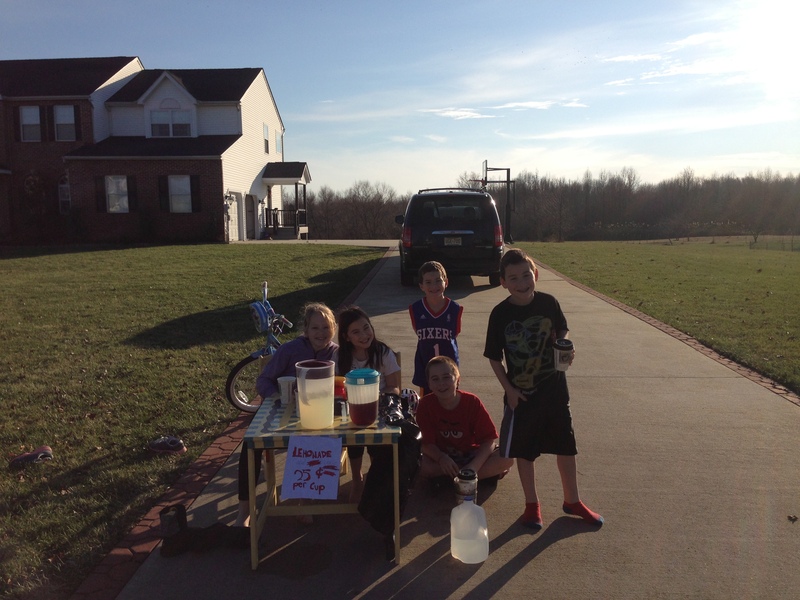 The kids in the neighborhood decided to sell lemonade a couple of weeks ago (because it was in the 60’s!). My daughter asked or talked most of the kids in to donating their profits to the JDRF. So, its great that $9 is being donated to the JDRF on behalf of the kids of the neighborhood. However, I am just excited that my daughter understands how important JDRF is in our lives. She thought she was just helping me and others who currently live with T1D. She didn’t even realize that she was helping herself. That’s why I’m training for long distance triathlons. That’s what motivates me.